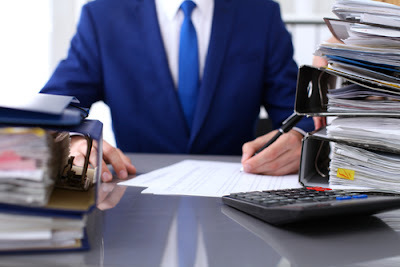 The demand for accountants in the workforce will never diminish, as every organization needs to have at least one in-house accountant to work efficiently – as for big corporations, they need at the very least a few accountants. An accountant handles some various tasks including payroll, collecting funds from sales and monitoring inventory. Listed below are the top paying accounting jobs to date. Read on to know the main types of jobs that would suit your accounting career. These are the people who coordinate and supervise the activities of other people. These activities include typing, verifying, posting and calculating duties. This kind of job mainly deals with the correct record of financial data. These data are then used for maintenance of statistical and accounting records. These kinds of records can be demanded either by government or management agencies. The duties are performed under the head of the bookkeeper and the accounting clerk. The master title for this kind of work is called "Supervisor." The primary task of this kind of accounting job is to identify the debtors and delinquent accounts. In case of such accounts, they solicit payments. This kind of accounting career might require you to initiate "repossession" proceedings. It might also require you to know driving as you might have to provide transport facilities for a return of goods to the creditor. If for instance, the debtor is unable to pay the money, the repossessor might also be required to drive the vehicle back to the creditor. If he is unable to open the car for this operation, he will have to use "special tools" for this purpose. 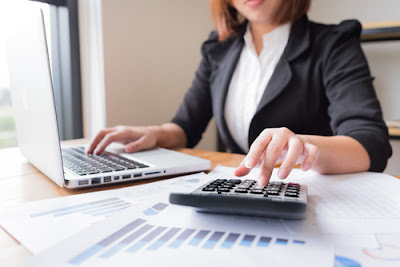 The primary job of the bookkeeper is to use computers and calculators to keep a record of the financial transactions for the company. They record the financial operations using allocating, verifying and posting of business transactions to the subsidiary accounts. These accounts are present in either computer files or journals. The information is collected from various documents like computer printouts, check stubs, receipts, invoices and sales slips. The details are summarized in multiple computer files or ledgers. The data are then transferred to the general ledger with help from the computer and calculator. The bookkeeper is also in charge of reconciling and balancing the accounts. It is one of the jobs in the vast realm of the accounting career. The tallier performs a string of duties raw materials or products. These raw materials might include fish, field crop, livestock and even steel metals or gold. The record of these products from workers or suppliers has to be kept under the control of production, payment, and payroll. The taller then thus performs an essential job in the whole accounting career. The federal government accountant handles both the federal government and taxpayer’s financial documents. This type of job involves high authority and respect. Responsibilities can include auditing tax accounts to ensure every detail is correct. To become a Federal accountant, you will need a 4-year degree in either auditing, accounting or finance. The best thing about being a CPA is that it gives you the chance to be your boss, which allows you to pick your schedule and clients. 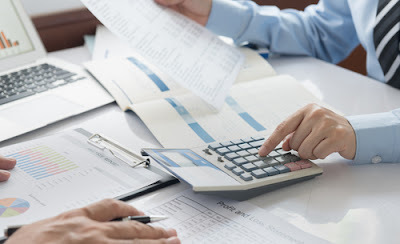 As a CPA, you will assist individuals in many fields such as budgeting and tax preparation. Tax auditors ensure tax deductions are accurate and that documents have been completed within the guidelines. If an auditor finds out that an individual has underpaid the government, he/she will calculate the fees that are owed. This career, when the government is the employer, necessitates a bachelor’s degree or the equivalent in both college education and experience. Tax preparers work seasonally for tax preparation companies. They assist taxpayers with preparing their taxes, filling out forms and looking for tax deductions to maximize refunds. To become a tax preparer, you usually need a college degree and must be proficient with computers. This also means you will be working in a small office space alongside dozens of your peers. After obtaining an accounting degree, don’t expect to be employed in a high paying job right. Of course, there are exceptions to this, but those are exceptions, not rules. You may even find yourself doing bookkeeping and clerical functions. Don’t worry. As a fresh graduate, your goal is to obtain work experience. An accounting degree is not enough to make it into the ranks of managerial or control positions. You need to be proficient with the technical aspect of your chosen field. Plus, you need to understand what it means to toil, how it feels to meet deadlines and appreciate work. In other words, you need to mature professionally. If you are not qualified for a position, then you’re just too young or not yet ready for it. But nobody said you would never be qualified. There are a good number of entry-level accounting positions. Even the biggest companies in the world employ hundreds of thousands of accountants each year. The best experience would probably be obtained from the Big 4. They are the most significant accounting firms in the world. Working with them is challenging since they need to maintain their reputation. You may also try to apply for a position or apprenticeship in a private company. In any case, remember that your goal is to obtain experience and be qualified for the higher ranks.